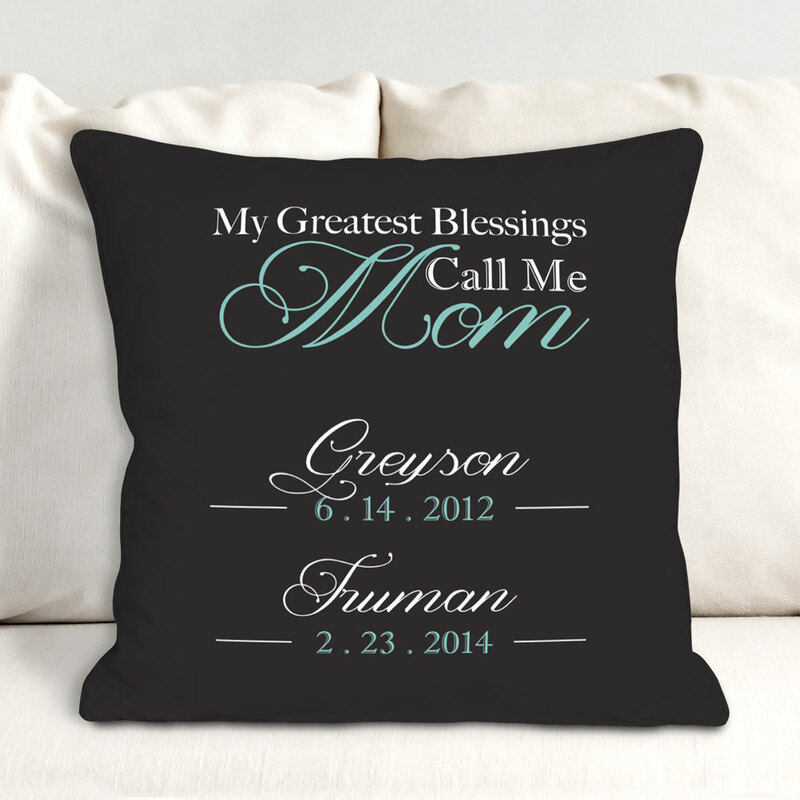 Help her celebrate Mother's Day with this personalized Mom pillow! With space for up to 6 names, this custom throw pillow lets her show off the love she has for her children. A great personalized gift that doubles as a nice piece of accent décor. Additional Details Shop more great home décor for Mother's Day to find the perfect fit for you Mom! If you have someone else on your list that would enjoy a personalized gift, shop today!